Stanford’s season finale against Rice was only the second game of 2016, following the team’s 52-27 win at Oregon that largely coincided with my Scrabble tournament, which I didn’t get to watch on television as it took place. Because the game was carried on the Pac-12 Network, and because many TV carriers don’t have the channel, it can be hard to find places that show Pac-12 programming. Dish does carry the Pac-12 Network nationally — but which bars are Dish subscribers? Ultimately, because I wasn’t in my home territory of Durham, I didn’t find one. Although Stanford concluded the regular season on a five-game gave winning streak, which pushed its record to 9-3 overall and 6-3 in the Pac-12, the team had another less savory string going on in November: Three straight games in which the team was penalized either seven or eight times. The Stanford football team outran and outmuscled Rice on Saturday, outrushing the visiting Owls by more than 200 yards in a 41-17 victory to complete its 2016 regular season schedule. The 9-3 Cardinal used the same formula that had served it so well throughout the squad’s five-game winning streak: A lot of Christian McCaffrey, now fully healthy, nicely complemented by unremarkable but largely reliable and mistake-free quarterback play from Keller Chryst, a strong performance from an increasingly confident offensive line, contributions from the rest of the offensive and special-teams units, and a suffocating effort by the defense. The fact that Stanford was playing another team with an at-best mediocre offense (see also: Arizona and Oregon State) and a lousy defense (see also: Arizona, Oregon State, Oregon and Cal) played a pretty important part, too. The Cardinal banked 20 points in the first half, scoring on four of six possessions, including a one-play, nine-second possession that closed out the second quarter. The Owls, meanwhile, didn’t cross midfield until the second quarter and scored only a field goal before intermission, and that on their final drive of the half. What’s more, Stanford’s defense engineered four three-and-outs by the visiting offense. 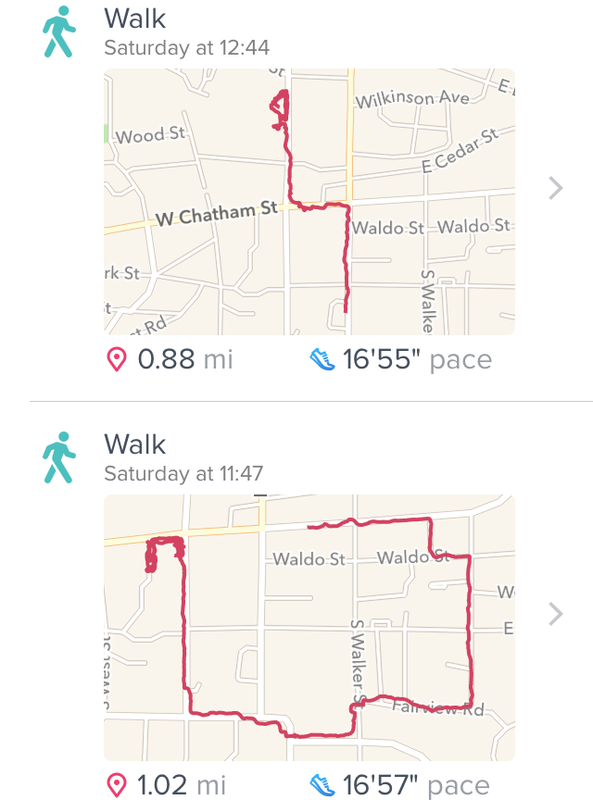 I got my five miles in during the afternoon hours just before the 119th Big Game. Oddly, I encountered dogs in all three phases of my afternoon outing. A coffee shop opened sometime in the last year on Hillsborough Road on the western end of Durham. It’s about a mile and a half from where I live, but if I take the scenic route, I can stretch the distance out. I decided to do that on Saturday. Near the beginning of my stroll, I was walking up a residential street when I saw some people tailgating in their driveway. (I think they were North Carolina State fans, if I correctly recall the logos on display.) They had a tent and some chairs set up along with a TV and some refreshments. They also had two little dogs that were attached to long leads. Despite a 4-0 start, my hopes of winning the lower division of the Nov. 12 Scrabble tournament took a major hit when I lost games five and six of the eight-game, 10-player competition. I had an outside chance of winning, but to do it, I’d need to get back in the win column with my seventh game. Unfortunately for me, my opponent was to be MS, who had handed me my first loss on the day. The good news was after trailing by more than 100 points late in that game, a bingo had closed the gap on what was ultimately just a 31-point loss. Also, I knew that MS had played a phony early in the game; his OVAS had been worth 24 points, which represented more than two-thirds of his margin of victory. With some smart play and some luck, I knew that I could take MS down. MS, playing second, had a 50-29 lead after two turns, but I jumped ahead with my third move, SOFTY 51. (I wasn’t sure if this is a valid word; turns out that it is.) He and I went back and forth for the next several moves. The Stanford football team ran over Cal on a rainy Saturday in Berkeley, racking up 357 rushing yards and rolling to a seventh straight victory over their long-standing Bay Area rivals. It was a credit to Cal’s prolific passing offense, and a discredit to Stanford’s normally staunch defense, that the ultimate outcome of the 119th Big Game was in doubt well into the second half. But it was a credit to Stanford’s once-anemic offense that the outcome was all but assured by the midway point of the final quarter. Stanford opened the game with another anemic starting drive, gaining four yards on six plays. The Golden Bears, by contrast, would need just one play to take a 7-0 lead. Davis Webb threw a short slant pass that Chad Hansen, the Pac-12 conference’s leading receiver, was able to take 70 yards to the end zone. A dead-ball personal foul following the touchdown and a short kickoff set Stanford up at the Cal 45-yard line. But the visitors would knot the score in only two plays and 28 seconds. My fifth-round opponent in the Nov. 12 Scrabble tournament was MS, a smart young local player whom I’d never before faced in official competition. I knew from personal experience that he would be a tough out. His player rating — 1098, the highest in our division — only confirmed that. Going second, I led early, responding to MS’s opening of HEP 16 with FUD/UH/DE 18. My opponent traded four tiles in turn 2, enabling me to pad my lead with WIN 19. MS narrowed the gap in turn 3 with DEX 35, but my RIB 21 kept me ahead with a very small 58-51 lead. The fourth turn proved to be important. MS played OVAS 24, instantly raising my suspicion: OVUM is the singular form of a word meaning egg; OVA is its plural. I was fairly certain that OVA did not take an -S.
After starting the tournament off with two wins in close games against strong opponents, my third match was a bit of a gimme. My foe this time out was P—, a first-time tournament player who had lost her first two games by large margins. I went ahead from the get-go, playing first and opening with ELVEN 18. P— played PORE 12, which gave me an opening to play COP/PE for 22 points. My rack entering turn 3 was ADEENNT — not terribly promising. Fortunately, I noticed that I could use the second E from my opening word to play a bingo, NEATENED, which scored me a cool 63 points when combined with the 50-point bingo bonus. P— capped the fifth turn with JAW 29, which narrowed her deficit to 126-90. Unfortunately for her, that would turn out to be P—’s biggest play of the game. The Nov. 12 Scrabble tournament in Durham was once again staged at the Northgate Mall. Fortunately, I got a decent’s night sleep this time around; unfortunately, I didn’t get an early enough start to be able to walk over to the venue. My first game was against N—, who started the event with a rating of 911, substantially higher than my 730. I went first and opened with WAB 16 after drawing AABESW?. (An unplayed blank is listed as a question mark; when played, it appears as a lowercase letter.) N— took a small lead with her first play, EDIT/AD/BI 21. I had a nice word in the third turn: JEAnS 45, which put me up, 76-52. (As it happens, this would be the highest-scoring word of the game.) But N— went ahead again after five turns following two strong moves in a row: GROW 29 and EYE 30. With the election of Donald John Trump Sr. as president of the United States of America on Nov. 8, 2016, the nation entered a new era: That of the celebrity-president. Trump will be just the fourth president in our nation’s history never to have held public office prior to entering the White House. He will be the first to do so without any experience serving in either the military or elected office. Trump had three predecessors who lacked any political experience: Zachary Taylor, Ulysses S. Grant and Dwight Eisenhower. Grant served in the army for 23 years, according to Vox’s Zachary Crockett, while Eisenhower had a 37-year-long military career and Taylor’s army stint spanned four decades. All three reached the rank of general; all three supervised forces in battle. The Accountant is a cleverly constructed and strangely likable action-adventure movie built on an unusual premise: That an autistic child can be groomed to become a businessman with the acumen of Bruce Wayne, an assassin with the skill of James Bond, a criminal with the morality of Robin Hood and a ladies’ man with the swagger of… well, of a celibate monk. Ben Affleck plays the eponymous accountant, who goes by the name Christian Wolff. He runs an unremarkable tax firm in an unremarkable strip mall in Illinois, but that’s really a cover — “Wolff” mainly earns his keep by serving as a forensic accountant for shadowy criminals, businessmen and governments the world over. The Accountant’s main action begins when he’s called in by Lamar Black (John Lithgow), the founder and head of an advanced prosthetics manufacturer called Living Robotics, in an attempt to sniff out some financial anomalies that have been discovered by one of the company’s junior bookkeepers, Dana Cummings (Anna Kendrick). I didn’t have the opportunity to do much walking on Saturday due to my participation in a Scrabble tournament. In fact, because of this event, I was unable to watch a single minute of Saturday’s Stanford-Oregon football game — the first time that’s been the case this season. I did get to listen to a few minutes of the football clash, both between Scrabble games and after the tournament ended; I also checked the score on my phone at a few points late in the tournament, when the game was in its first half. I’ll probably recap my Scrabble tournament over the next week or two; suffice to say that it was a pretty enjoyable afternoon, all in all. Look. You know it and I know it. When a team wins, 52-27, there simply aren’t that many negatives to be found. Stanford did a lot of things well on Saturday in Eugene. But looking at the box score, one thing jumped out at me: Penalties. Although the league had 10 teams from 1978 through 2011, and now contains an even dozen universities in the American West, ownership of the football title has been somewhat streaky. The University of Spoiled — sorry, the University of Southern California — had a six-year run atop the conference spanning 2003 through 2008. Since then, however, the championship has belonged to one of two teams: either Stanford University or the University of Oregon. The Ducks won the Pac-12 three years running, from 2009 through 2011, before yielding to the Cardinal the next two years. Oregon reclaimed its crown in 2014 but was shouldered aside by Stanford last year. Over this period, encounters between Stanford and Oregon were generally expected to have important implications for the state of conference — and in some years, for all of college football. It became evident in early October that another team would be this year’s league champion. Stanford’s chances of winning the Northern Division were severely damaged by the blowout loss to Washington and essentially eliminated in the following week’s nearly-as-ugly blowout loss to Washington State. By that point, the Ducks were mired in what eventually became a five-game conference losing streak. And so it was that on Saturday in Eugene, the 6-3 Cardinal was hosted by a 3-6 Ducks team that had managed to win but a single conference game. A clash of the titans this was not. This time, I took my own suggestion. 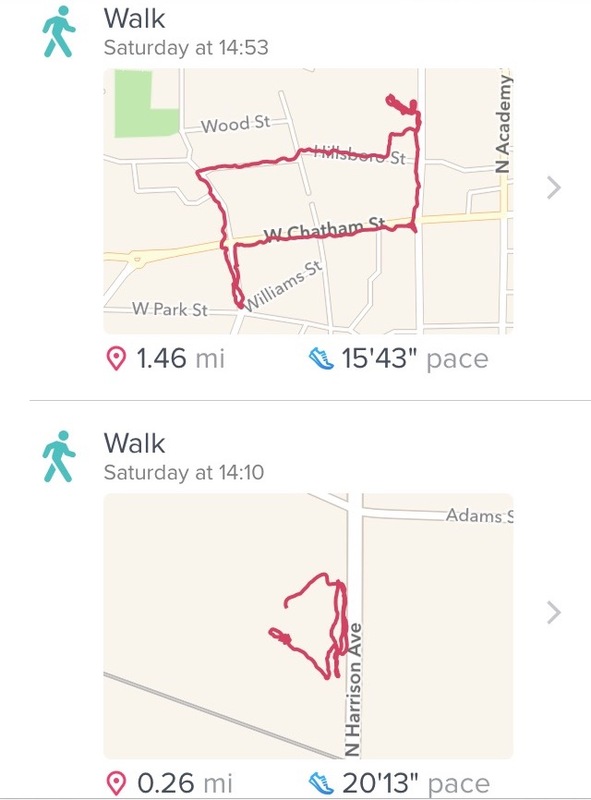 On Saturday, I wound up strolling around Cary, N.C., to get in my exercise for the day prior to the Stanford football game against Oregon State. I ended up covering more than three and a half miles over four different stretches, and (as you know) the Cardinal ended up beating the Beavers, 26-15. Since I took a long walk, also in Cary, before the Notre Dame game, which Stanford won, and since I didn’t do any walking — or actually I did, but not very much — before the Colorado game, which Stanford lost, I may have inadvertently established a new Stanford football pregame tradition (or is that superstition?) for myself. And yes, it definitely felt great to (a) get a win and (b) go over .500 in conference play. Stanford’s feature backs ran wild over Oregon State in a 26-15 home win Saturday afternoon. The Cardinal’s new first-string quarterback, Keller Chryst, has led the team to wins in both of his starts. But the squad still has plenty of rough edges, and Chryst’s effort as a passer left some things to be desired. The Cardinal converted just four of 15 third downs and Chryst completed 10 of 17 throws for just 60 yards. Those kinds of performances are unlikely to cut it against Stanford’s last two Pac-12 opponents, Oregon and Cal, both of which are about as porous as OSU on defense but more more potent on offense. The Cardinal began the game on an ignominious note, as Chryst and center Jesse Burkett lost the ball on the third snap of the game. Oregon State recovered at the Cardinal 33-line but came away without points when Garrett Owens missed a 26-yard kick. On Tuesday, Nov. 8, 2016, I will vote for Hillary Clinton to become the 45th president of the United States of America. The Democratic candidate is an imperfect individual, but she is eminently qualified to serve as president, and I expect her to be an acceptable — and perhaps even an excellent — steward of the national interests as chief executive. By contrast, knowing what I do about the character and campaign of her Republican opponent, Donald Trump, I cannot imagine myself backing him in good conscience for any position of importance. All of which is to ignore numerous signs of Trump’s misogynistic attitudes and actions, which would have disqualified most candidates in previous elections. Well, it sure felt nice to get a win, didn’t it? For the last two weeks running, I’ve labeled Stanford’s offensive line The Ugly because the unit’s middling-to-above-average success at opening holes for the ball carriers has been counterbalanced by its difficulties protecting the quarterback. Notre Dame, which is 108th out of 128 Division I-A teams with 11 sacks in eight games, got to Stanford’s passer three times. Colorado had an equal number of sacks in the Cardinal’s worst offensive outing of possibly the last decade. A week after the Stanford football team suffered an ignominious 10-5 homecoming defeat at the hands of a rising Colorado program, the Cardinal got just what the doctor ordered: A date with Arizona. The Wildcats have been decimated by injuries; they came in sporting a woeful 2-5 record, highlighted (if that’s the word) by victories over Grambling State and Hawaii. In the end, they provided minimal resistance to a distressed Stanford squad, which bumped its record up to 5-3 (3-3 in Pac-12 play) by notching a 34-10 road win. Head coach David Shaw and his staff elected to start junior Keller Chryst at quarterback instead of senior Ryan Burns — understandable given the incumbent’s record of five touchdowns vs. seven interceptions and four lost fumbles. Whether because of that change or the dismal quality of the Wildcats defense, which entered the game allowing an average of 33 points and 475 yards over its first seven games, the Cardinal was able to roll to a 34-10 win. The W was great, and it felt awfully novel after the Cardinal had dropped three straight conference games to Washington, Washington State and Colorado. But two things felt even more significant than that.